Christmas is less than two months away – hooray! Britain absolutely loves Christmas; you only have to look at the amount we spend every year for evidence of that. According to a report, UK shoppers spent £680 each on festive goodies in 2013, totalling a mind-boggling £43 billion. That spending shows no sign of slowing down either; this year, Britons are planning to spend an average of £350 on Christmas presents, making us the most generous gift-givers in Europe. That might sound like a badge of honour, but all that spending comes at a cost. 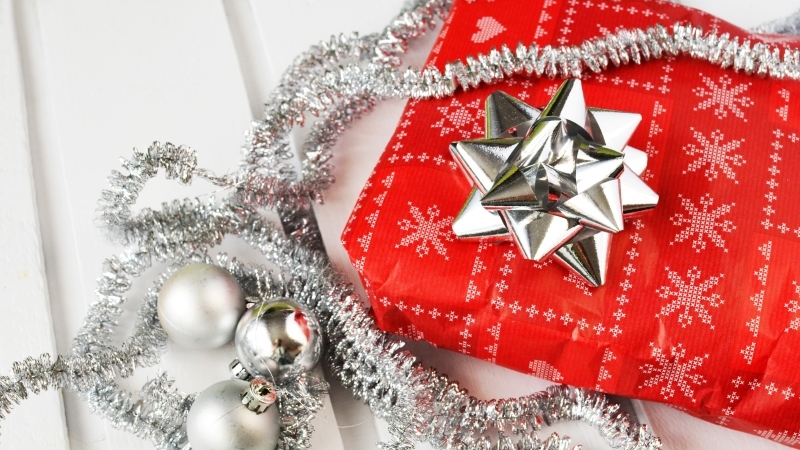 With presents, food, decorations and various celebrations, the cost of Christmas soon mounts up – and we often turn to credit and borrowing to fund it. A survey by the Money Advice Trust suggests that one in 8 Britons will struggle financially after overspending at Christmas, facing a mountain of bills and no immediate way to pay them. The good news is that you don’t have to max out your credit card to properly enjoy Christmas. All it takes is a bit of saving, a bit of savvy and a bit of willpower. It’s easy to get carried away buying presents. There’s the pressure of making sure the kids get the latest toys and gadgets, the pressure of making sure everyone gets a present and the pleasure that giving provides. Giving feels good, and the more you give, the better you feel… until January, when you have to start paying off all those bills. The only way to stop yourself from overspending is to set a strict budget and stick to it. To do that, you’ll need a calculator, a spreadsheet and your bank balance. First, divide your spreadsheet into three tabs: presents, food and decorations, and celebrations. You can add more if you want, but this is the simplest method. In the ‘presents’ tab, add the name of everyone you’re planning to buy presents for. In ‘food and decorations’, list everything you’ll need. In the celebrations tab, add any parties or trips you’re planning to celebrate. Once you have your lists, take a look at your bank account and savings and devise a sensible budget based off that. You’ll need to leave money for living expenses, emergencies plus a little extra for January. With a rough figure decided, divide that money out between your various expenses. Scary, right? Don’t worry, though: now, we’re going to look at ways to make savings and add a little bit extra to it. Everyone knows that Christmas is a time for gorging. But how often do you end up with more chocolate than you could possibly eat, or in a near-food coma because you overdid Christmas dinner? The first area of dinner to reconsider is the turkey. Yes, it’s traditional but that means the prices get ramped up because of demand. If you’re willing to do away with tradition, try something cheaper – pork or chicken are both decent options, and they’re much less hassle to cook too. If you’re having the family round for dinner, ask them what they actually want for dinner. If no-one likes sprouts, don’t buy them and save. If no-one cares about swede (and let’s be honest, who does? ), that’s a few more quid saved. It all adds up! Oh, and whatever you do, don’t bother buying chocolate for yourself! You’re guaranteed to be drowning in the stuff by Boxing Day anyway. Christmas cards are lovely, but they’re fairly useless, aren’t they? We open them, smile, put them on the mantelpiece for a few weeks and then pack them away for good to join the rest of our household clutter. 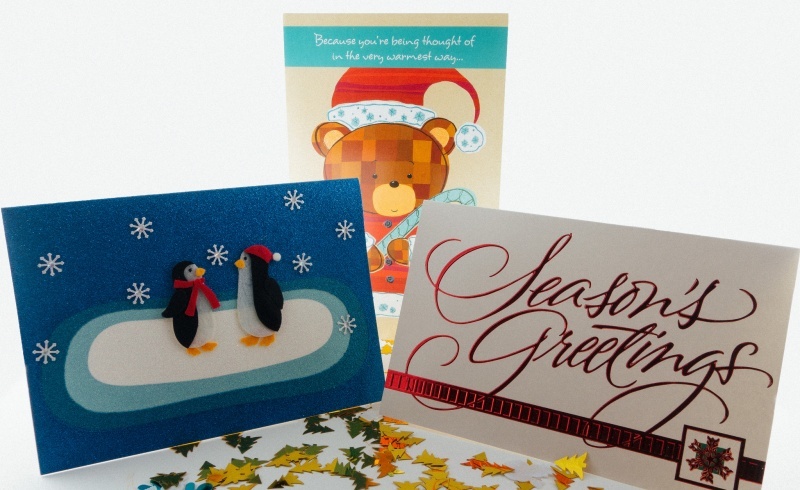 We’re not suggesting that you ditch Christmas cards entirely (Gran would be mortified! ), but you can save a lot of cash by sending e-cards to your younger and more web-savvy friends and relatives. It’s pretty good for the environment too! Christmas is a time for giving. But let’s be honest: how often do you end up trawling round the shops or web trying to find a present for your second cousin who you last saw 10 years ago, only to settle on the classic Christmas clichés of socks or chocolate? It’s time to get brutal and trim down that present buying list. Review the people you’re planning to buy for and cut out anyone who isn’t absolutely essential. That means close friends and family, and that’s it. Whatever you do, make sure that the people you aren’t planning to buy for know in advance. Call them up or send a message making a pact not to buy for each other. For those lucky people who made the present buying cut, re-consider what you’re planning to buy. Often, people will appreciate something that has taken time and effort over something that you bought at the last minute in a sweat-drenched panic shop. Potential ideas include a hamper of baked goods (yummy! ), decorations and household accessories (if you’ve got crafting skills) or a photo album/collage of memories. The more personal it is, the better! Visiting friends and relatives is the sneakiest of all Christmas expenses, creeping on you with surprisingly large bills. Often, the cheapest way to travel isn’t always the most obvious. 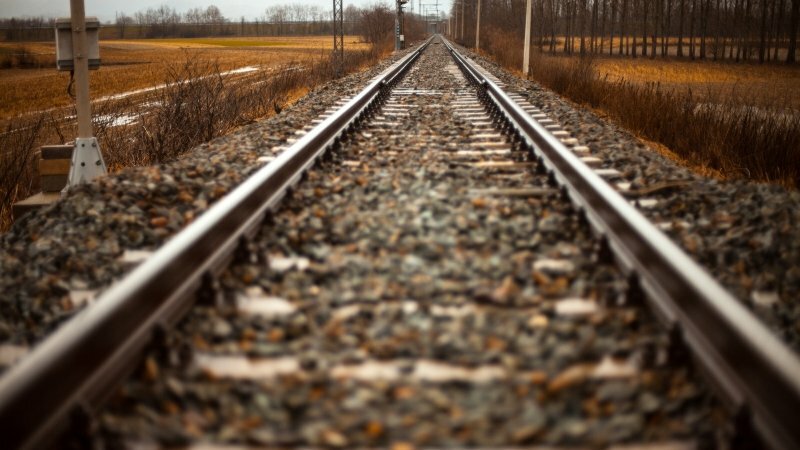 If you book now, you should be able to get some great deals on train tickets. You’ll avoid the horrific Christmas traffic as well! If you don’t mind spending a few hours on a coach, you should also check out National Express and Megabus for deals. It takes a little longer but the potential savings are massive. If you do have to drive, find the cheapest petrol station near you with petrolprices.com. If you’re travelling alone or as a couple, you could also consider using Liftshare. This app finds people willing to offer lifts to your location in return for splitting petrol money. It’s a given, but shop around no matter what you’re buying. Consumers have more choice than ever when doing their Christmas shopping and retailers often resort to cutting prices or holding special offers to win business. For gifts, use a price comparison website like Pricerunner to get the best deal possible. For food, use mysupermarket.co.uk to compare deals across the major supermarkets. You’ll probably have to shop around to get them all, but it’s worth the savings. Just remember to balance any potential savings with the cost of travel. Don’t be tempted by payday loans! If you only follow one piece of advice in this post, make it this one: avoid payday loans. 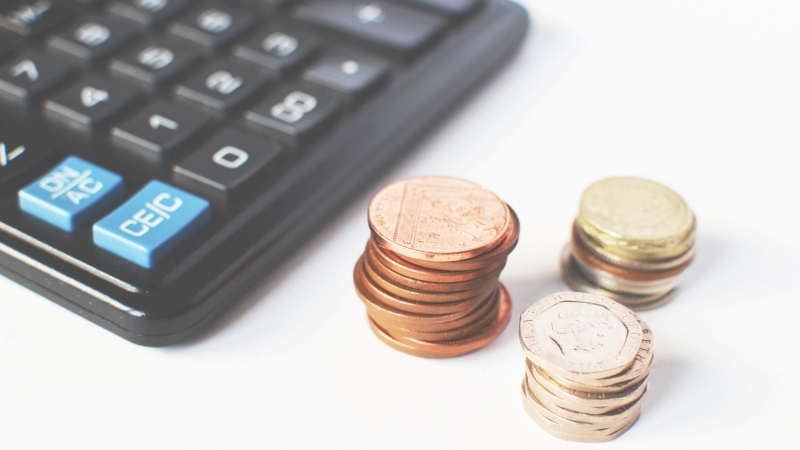 While the offer of a short-term cash injection is tempting, the industry average APR of 1,737% means you’ll end up paying back much more than you borrowed. With our new fast same day payments, we’re one of the easiest ways to earn a little bit of extra cash before Christmas. Simply get an instant price for your CDs, DVDs, Games and Electronics using our Val Engine or FREE app, pop them into any box you like and send them for FREE! As soon as we receive your items, we’ll issue your payment and it’ll clear the next working day. The sooner you send your stuff, the sooner you’ll get paid! If you’ve got clothes to sell, try an app like Depop or Schpock, or give eBay a go. Cashback websites almost sound too good to be true: how on earth can you get paid for just shopping? Well, it’s fairly simple actually. You navigate to the website through a link on a cashback website. When you make your purchase, the cashback website will receive a referral fee, which is then passed onto you. It’s more or less free money. Unfortunately, you won’t get your money straight away so it might not be ready to spend on Christmas presents so think of it as an investment instead (and a great way to start saving for next Christmas). If you can’t afford to buy it, why not try and win it instead? ‘Comping’ is a bona-fide internet phenomenon, with a dedicated community of ‘compers’ (to give them their proper name) trawling the web for opportunities to win prizes. If you’ve got a bit of spare time, you could easily enter a couple of competitions every day and the only thing you’ll need is an email address. While there are no guarantees, the odds are pretty good if you enter enough comps. Check out this excellent guide from MoneySavingExpert for some top comping tips. Remember what we said about retailers wanting to win your business? Well, discount codes are another tactic they use to get you shopping with them – and it’s worth taking them up on the offer. There are countless discount code websites, the best of which you can find in this article. It’s also worth keeping an eye out for flash sales. The best way to do this is to sign up to email alerts from any retailer you’re thinking of shopping with. While you’ll get a lot of marketing material, you may get the odd sale alert too. Be quick though, because everyone else is on the hunt for bargains too! Got any top Christmas saving tips? Share them with us in the comments, on Facebook or on Twitter! 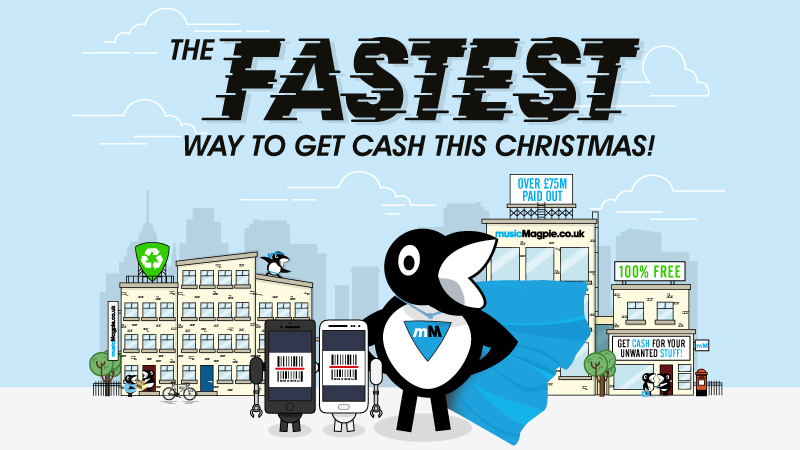 Kickstart your Christmas shopping fund today by selling your stuff with musicMagpie! Just click below to get started. Need a last minute Halloween costume? Try using your clutter! ← Introducing new Fast Same Day Payments!